It’s safe to say that homemade face masks are one of the more popular beauty trends right now, and, depending on the ingredients you use, they can produce great results for your skin if you use them at least once every week. The greatest part of making your own face masks is you have more control over your beauty routine, and it’s far more cost-effective compared to buying something generic from the store. Also, once you have a handle on making face masks, you can customize your recipe easily to fit your needs and your budget. If you think you’re ready to get started, let’s try out a few of these recipes for Manuka honey face masks. To make a face mask just for dry skin, you can try out this Manuka honey and oatmeal recipe, which Karolina Kurkova, a model, consistently sings the praises of. “When I’m travelling, or moving around,” Kurkova said, “oatmeal and honey is a great mask. It’s great for hydration and gives you a nice glow.” This mask requires you making oatmeal, just as if it were for breakfast, and then drizzling in a tablespoon of Manuka honey. 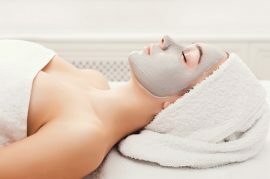 After mixing the ingredients together, apply the mask to your face once it’s cooled down. Leave the mask on for about 10 minutes before rinsing with lukewarm water. Model Jourdan Dunn, another fan of homemade face masks, likes turmeric face masks for boosting the glow of her skin. She alleges turmeric can even skin tone out, treat acne, reduce dark circles, fade dark spots, and slow cell damage down. Dunn’s preferred recipe for oily skin calls for turmeric, yogurt, Manuka honey, and lemon—the citric acid in the latter is said to help lighten pigmentation and the yogurt with pH levels in the skin. For this mask, you need to mix the ingredients all at once, which should create a paste for applying to the skin liberally. Leave the paste on for no more than 10 minutes (any longer and the turmeric may stain) before washing it off thoroughly. For Jessica Sepel, an Australian nutritionist, her banana-avocado face masks are ideal for boosting her skin’s radiance. She says avocado provides a great deal of vitamin E, omega-3, and antioxidants whereas the banana is packed with “beta-carotene and potassium, which is fab’ for fluid retention and under-eye bags.” You need a soft avocado, a tablespoon of Manuka honey, a mashed banana, and the juice from half of a lemon. Simply mix together these ingredients, apply it to your face and skin, and leave the mask on for about 20 minutes before rinsing it off with warm water. Need to order some Manuka honey to try these homemade Manuka honey face mask recipes? To get your order started, click here. And, remember, we offer FREE shipping on all orders of $150 or more!